The British Isles are a handful of islands that make up the Isle of Great Britain, the Island of Ireland, and a host of smaller islands in that vicinity (Isle of Man, Guernsey, Jersey, and the like). The culture of the Isles stretches back to the days of the ancient Celts and is amazingly rich in fascinating creatures. Why not start with something depressing? The bean nighe is a figure in Scottish folklore that is said to foretell the deaths of mortals as a visitor from the Otherworld—the world of gods, fairies, spirits, and the like. It is said that she appears as a washerwoman who cleans the bloody clothes of those who are fated to die, and if one asks nicely enough, she can tell you the names of those who shall die. If you are especially careful, you can ask her three questions, but only if you answer three in return. So how do you recognize this mysterious otherworldly prophet? Well, it’s said she’s horribly ugly with webbed feet, a single tooth, a single nostril . . . or, in rare cases, she appears in the form of a beautiful woman. The thing is, do you take the chance of asking those three questions of this mysterious prophet? This is a peculiar creature I came across in The Fantasy Encyclopedia by Judy Allen, and it is a lesser-known part of English mythology. 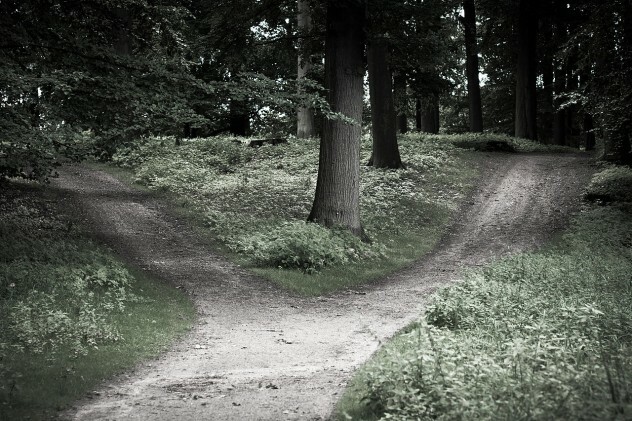 They say that a certain crossroads are a door to another world, the world of the faeries and the gods and demons that act in ways that we don’t usually see. Every now and then, these crossroads will have a peculiar occupant—the faerie dog. These aren’t the puppies you and I know—these dogs are bright green and will bark once or twice as a warning. But upon the third bark, the listener is doomed. Perhaps throwing a bone might help? The Alp-luachra is a nasty little creature of Irish tales that is classified in Celtic folklore as a “joint-eater.” Despite its name, the joint-eater doesn’t eat joints. 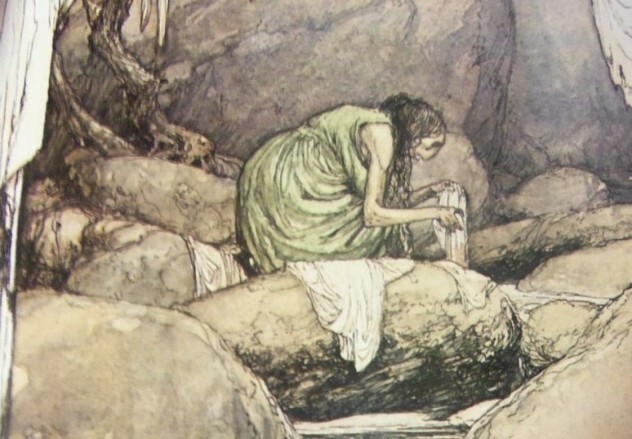 This bizarre classification of fairy is known to eat some of its victim’s food. That’s it; that’s its purpose. The Alp-luachra, a member of this joint-eater family, has a very disgusting way of accomplishing that goal. 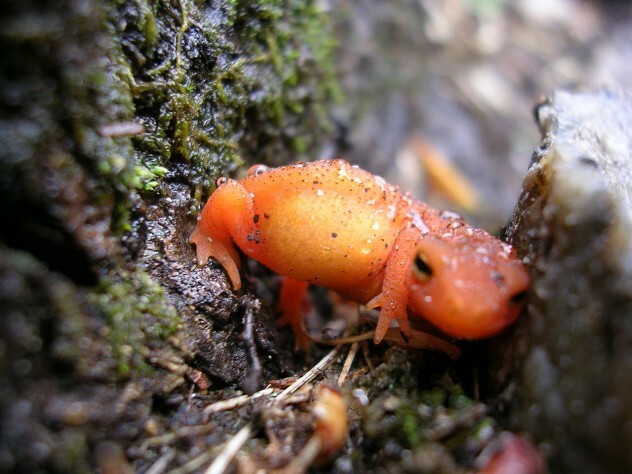 When a person falls asleep by a stream, the Alp-luachra will take the form of a newt and crawl down the victim’s throat to have a tasty snack out of the victim’s previous meal. In one tale, it’s said that you must devour salted meat in order to get the thing out of your throat. How does this work? Well, the salt just makes the thing thirsty and it has to leave to take a drink. While this is more of a local legend, it has a rightful place in the mythos of the British Isles. 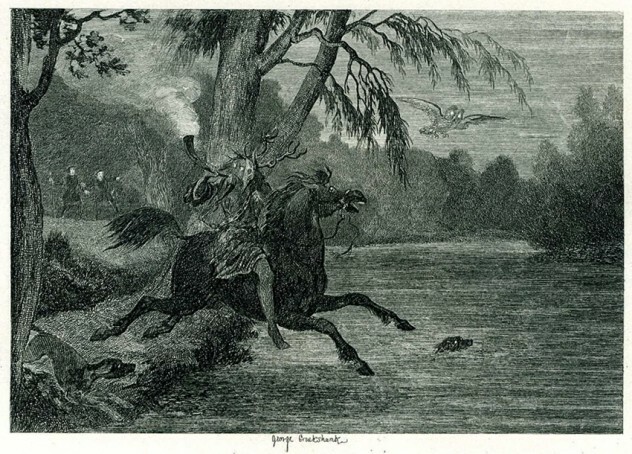 The legend goes that Herne the Hunter was once the keeper of Windsor Forest during the days of Queen Elizabeth I, and when he committed some sort of great offence, he hung himself in order to avoid facing the shame. Now, he guards the woods as a spirit of the forest and haunts them when the country is in some sort of grave danger. Think of this creature as the faerie dog’s demonic, scarier, and darker cousin. All of Britain has legends of black dogs that portend certain doom, but Wales has one with a much better title—the dog of darkness. As with all scary, black, ethereal dogs, they are said to haunt lonely country roads and scare the living daylights out of travelers. The dog’s appearance is said to be a dark omen, but isn’t that obvious? 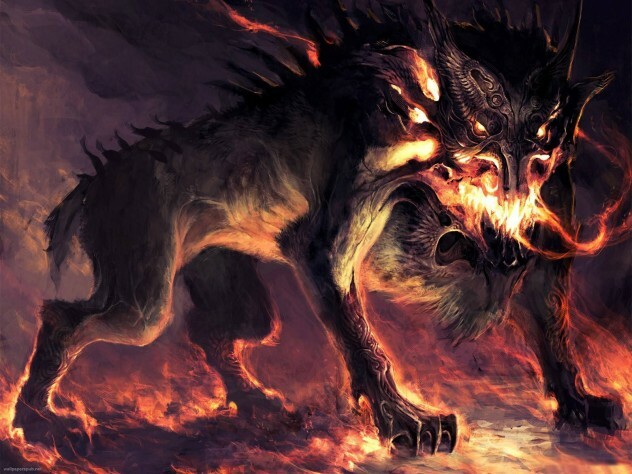 Why would you assume a demonic hound with night-black fur was anything but bad? Vampires have fallen from grace in the 21st century, but luckily there are many countries with their own brand of vampires. Ireland, thankfully, has its own deliciously creepy vampire story, and the vampire in question is the Dearg-Due. 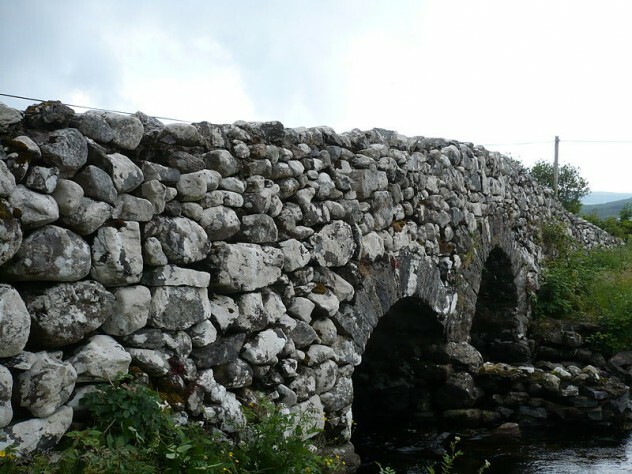 Legend says that the Dearg-Due was once a beautiful woman who killed herself in order to avoid an arranged marriage after falling in love with a peasant boy. After the funeral, she rose up from the grave and killed her family for forcing her into such a miserable state. Hey, at least she didn’t sparkle in the sunlight. Jack O’Kent is less a creature and more a folk hero, but he is a fascinating figure nonetheless. Legends tell of Jack matching wits with the Devil himself (the master of making bad deals) and often leaving said Devil quite angry in the process. One legend tells how Jack O’Kent made a deal with the Devil to help build a bridge, but the Devil would earn the first soul that crossed it. After it was completed, Jack O’Kent threw a bone over the bridge and a dog chased after it, giving the Devil his due. He may have been a folk hero, but O’Kent would probably face animal cruelty charges these days. 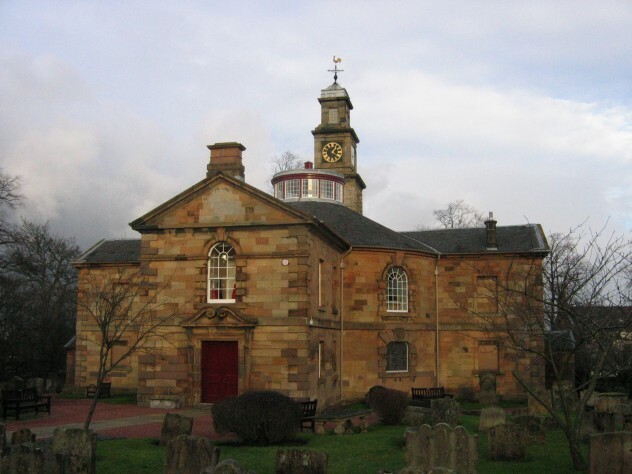 A being that may be borrowed from Scandinavian folklore, the church grim is supposed to be an ancient soul that, as the name implies, guards churches. The grim may take numerous forms—in some legends it has the form of a pig, a dog, or a small man (depending on whether you live in Britain or Scandinavia) who secretly sweeps the church and rings the bells. At some point, the priest must wonder why everything is so clean every morning. This is a much more recent legend, one dating back to about the 19th century. The story goes that the noble who owned the Glamis Castle in Scotland fathered a son in 1820, but his very existence was hushed up and denied by all in the family. Many visitors to Glamis Castle tried to press the occupying earl for the secret, but he never gave in. 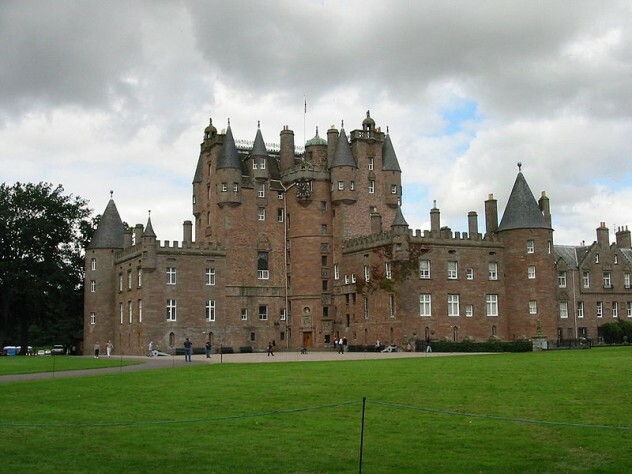 It is presumed that the son was simply born hideously disfigured, with one visitor reporting meeting a “human toad.” The boy was said to be hidden in a secret chamber in Glamis Castle, and his ultimate fate remains unknown. Of course, we could be completely wrong and this could be some kind of hokum fabricated to cover up a much darker secret. Considered to be the very worst of all Scottish monsters by some, the Nuckelavee is a sort of twisted Scottish version of the centaur. His very purpose was simply to hurt those living on the Orkney Islands, and he was made of the top half of a man sewn onto the back of some sort of rotting horse. He was said to be the cause of blight, disaster, floods, and more because of his purely evil nature. 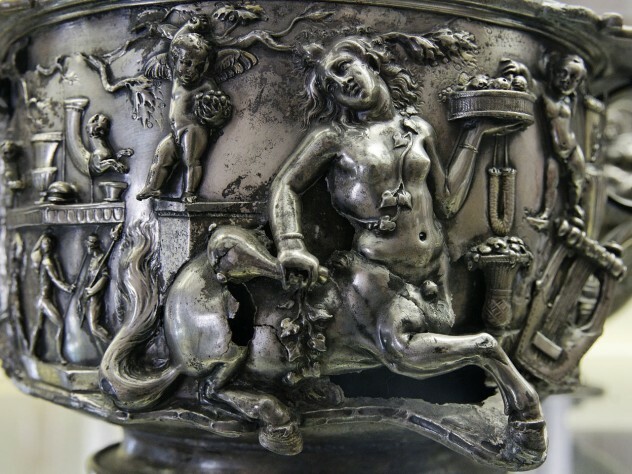 Although we have discussed horrible monsters on Listverse before, I think we can safely say this one takes the cake. Vlad Vekshtein is a mythology buff who is desperately trying to churn out his first novel. He’s a bit of an Anglophile and a hibernophile and enjoys learning about new and mysterious monsters. He also takes suggestions for lists in the comments, so sound off!